Our friends at Wavefront, in partnership with the Department of Foreign Affairs, Trade and Development (DFATD), are looking for Canadian companies with innovative Machine-to-Machine (M2M) solutions to participate in their Global Market Entry Program to South East Asia. The destinations for the trip include Malaysia, Singapore and Taiwan. B2B match-making meetings with decision makers from mobile operators in each market. Targeted networking events with prospective customers and partners from across the region. Wavefront’s Global Market Entry Program has been running since 2009 and has taken over seventy Canadian companies to seventeen countries. Interested companies are encouraged to apply before September 1, 2014. Funding assistance of up to $1,100 is available per company. Machine-to-Machine revenues will grow to reach US$44.8bn by 2018, with more than a third coming from Asia-Pacific: so Click here to take advantage of this opportunity! Our good friends at Wavefront, in partnership with the Consulate General of Canada in San Francisco, Silicon Valley, are looking for companies with innovative solutions to join them and network with the mobile and wireless industry’s biggest players. Wavefront is Canada’s Centre of Excellence for Wireless Commercialization and Research, accelerating the growth and success of wireless companies by connecting them with critical resources, partners and opportunities, to drive economic and social benefits for Canada. Wavefront’s Global Market Entry Program goes to Mountain View, California to attend TC3, a 2-day executive summit, where technology companies connect for business development, collaboration, and education. Past attendees include AT&T, Verizon, Sprint, Deutsche Telekom, Telefonica, Samsung, Intel, HP and Qualcomm. Interested companies should apply before July 31, 2014. Up to $660 of funding support is available to offset travel costs. Click here to take advantage of this opportunity. Take advantage of this highly targeted event by applying for Wavefront’s Global Market Entry Program to TC3 in Silicon Valley. Guess who’s at the 2013 Prosperity Trade show? 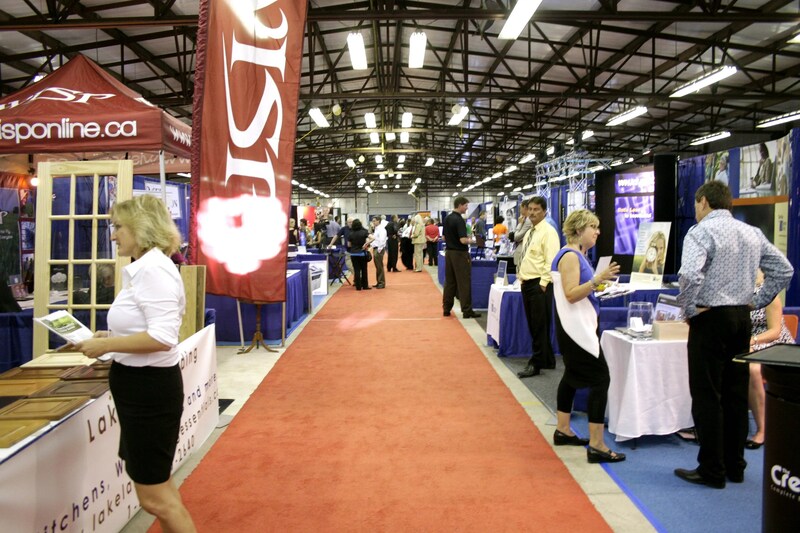 This year the Greater Peterborough Innovation Cluster is excited to be launching the “Innovation Zone” at the Greater Peterborough Chamber of Commerce 2013 Prosperity Trade Show, to be held on Wednesday, September 11th, 2013 at the Morrow Building, Peterborough. We’ve invited our clients, members, stakeholders and partners to exhibit their ideas, businesses and organizations to the Peterborough Community. – Peterborough Region Angel Network – and many more. Come out on September 11th to this “must-attend” event that will be showcasing many of Peterborough’s most progressive, innovative and entrepreneurial businesses and start-ups. For more information on the this year’s Prosperity Trade Show, please visit the Greater Peterborough Chamber of Commerce website by clicking here. The Innovation Cluster is a not-for-profit organization that exists to bridge the gap between scientific research and business by bringing together talent, knowledge, and investment to drive innovation-based economic growth and high-tech job creation in the Peterborough region. We support our clients with partnership development; intellectual property protection; publicity; and access to public and private investment. We also partner with academia and industry and provide support to start-up technology companies and entrepreneurs to help take innovative ideas and processes to market and to foster an environment fueled by innovation.